Above Image: A team recovers NASA’s Antarctic Impulsive Transient Antenna (ANITA) after a successful flight. And yet, since March 2016, researchers have been puzzling over two events in Antarctica where cosmic rays did burst out from the Earth, and were detected by NASA’s Antarctic Impulsive Transient Antenna (ANITA) — a balloon-borne antenna drifting over the southern continent. Since then, physicists have proposed all sorts of explanations for these “upward going” cosmic rays, from sterile neutrinos (neutrinos that rarely ever bang into matter) to “atypical dark matter distributions inside the Earth,” referencing the mysterious form of matter that doesn’t interact with light. But neutrinos of this energy, Louis said, just shouldn’t make it through the Earth often enough for ANITA or IceCube to detect. It’s not how they work. But neutrino detectors like ANITA and IceCube don’t detect neutrinos directly. Instead, they detect the particles that neutrinos decay into after smashing into Earth’s atmosphere or Antarctic ice. And there are other events that can generate those particles, triggering the detectors. This paper strongly suggests that those events may be due to physics beyond the standard model, Louis said, though he added that more data is necessary. Fox and his colleagues went on to argue that the particles are most likely to be a sort of theoretical supersymmetric particle called “stau sleptons.” Stau sleptons are supersymmetric versions of a Standard Model particle called the tau lepton. The “S” is for “supersymmetric” (really). 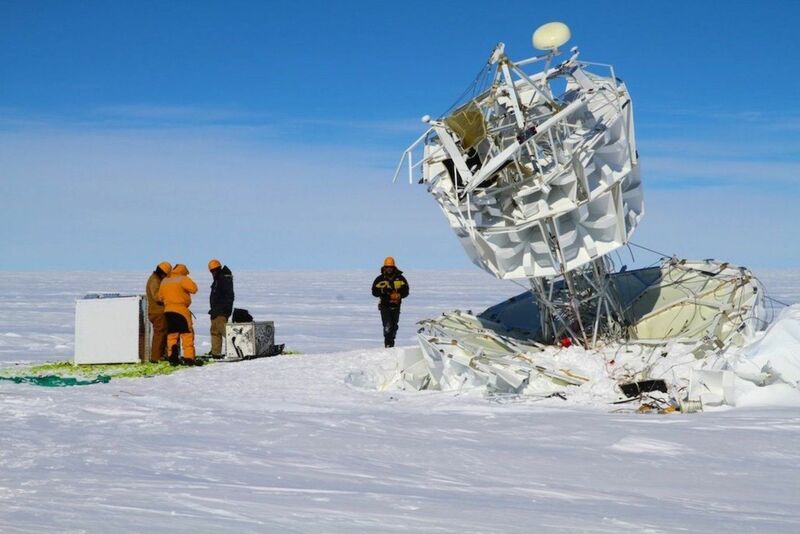 “For us to be certain that these events are not due to unknown unknowns — say, unmapped properties of the Antarctic ice — we would like other instruments to also detect these sort of events,” Bustamante said.